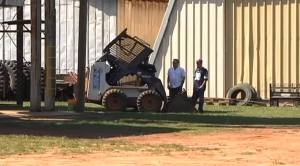 On October 2, 2014, 61-year-old Isabel ‘Rubin’ Gomez was killed in a front-end loader accident at the WBT Peanut Company in Rebecca, Georgia. At the time of the incident, Mr. Gomez and his brother were working on the hydraulic system of a front-end loader at the WBT Peanut Company when the lift arms dropped on both men. Mr. Gomez reportedly died from injuries at the scene. According to media reports, OSHA is now investigating the accident. Among the questions raised by this incident is whether a catastrophic equipment malfunction may have contributed to this tragedy. If this tragic event was caused by an equipment malfunction, the front-end loader’s manufacturer may be held civilly liable for Mr. Gomez’s wrongful death. Also, because Mr. Gomez was working at the time of this accident, his family is almost certainly entitled to substantial workers’ compensation benefits under Georgia law. Given the relatively high number of front-end loader fatalities reported to OSHA each year, equipment manufacturers must implement proper safety precautions in an effort to prevent such disasters. Perhaps though, through these claims, many other lives may be spared.